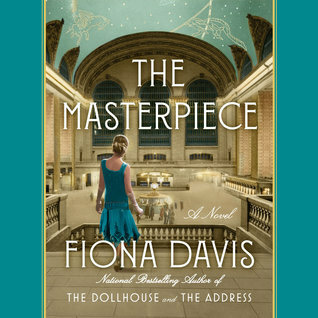 In her latest captivating novel, nationally bestselling author Fiona Davis takes readers into the glamorous lost art school within Grand Central Terminal, where two very different women, fifty years apart, strive to make their mark on a world set against them. For Clara, the terminal is the stepping stone to her future, which she is certain will shine as the brightly as the constellations on the main concourse ceiling. It is 1928, and twenty-five-year-old Clara is teaching at the lauded Grand Central School of Art. A talented illustrator, she has dreams of creating cover art for Vogue, but not even the prestige of the school can override the public's disdain for a "woman artist." Brash, fiery, confident, and single-minded--even while juggling the affections of two men, a wealthy would-be poet and a brilliant experimental painter--Clara is determined to achieve every creative success. But she and her bohemian friends have no idea that they'll soon be blindsided by the looming Great Depression, an insatiable monster with the power to destroy the entire art scene. And even poverty and hunger will do little to prepare Clara for the greater tragedy yet to come. Nearly fifty years later, in 1974, the terminal has declined almost as sharply as Virginia Clay's life. Full of grime and danger, from the smoke-blackened ceiling to the pickpockets and drug dealers who roam the floor, Grand Central is at the center of a fierce lawsuit: Is the once-grand building a landmark to be preserved, or a cancer to be demolished? For Virginia, it is simply her last resort. Recently divorced, she has just accepted a job in the information booth in order to support herself and her college-age daughter, Ruby. But when Virginia stumbles upon an abandoned art school within the terminal and discovers a striking watercolor hidden under the dust, her eyes are opened to the elegance beneath the decay. She embarks on a quest to find the artist of the unsigned masterpiece--an impassioned chase that draws Virginia not only into the battle to save Grand Central but deep into the mystery of Clara Darden, the famed 1920s illustrator who disappeared from history in 1931. 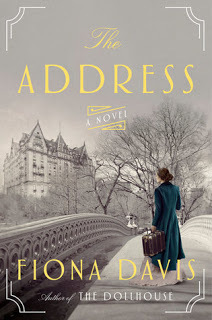 This is my second book by Fiona Davis, her previous The Address was a favorite from 2017. Rich in detail and history with a writing style I loved, she took a part of New York City's history and brought it to life. I was excited when I saw she was taking on another part of the city, the Grand Central Terminal in The Masterpiece. I opted for the audio version this time, Cassandra Campbell was the reader and if you know audiobooks then you know she is a great reader, one of my favorites. 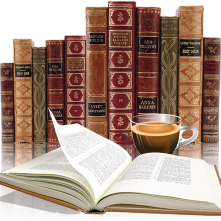 I borrowed via Scribd. I love when a book opens my eyes to parts of history I know nothing about, this time around I learned about Grand Central Terminal (not Station). The bid to demolish this landmark, the School of Art and what an icon it was. A dual time period story beginning in 1928 just before the Great Depression, when women couldn't succeed at 'men's jobs'. When the struggle to have a career and succeed in a man's world was next to impossible. Jumping ahead to 1974 life was still tough for women and a divorced one to boot was even harder. Both these women, Clara and Virginia struggled but they were strong and had a passion for life. It wasn't hard to feel for them both, to be their cheerleaders and even shake my head at some of the decisions made. Both storylines were interesting, usually I enjoy one over the other (the past because of its history) but this time it was an equal liking. Both had the historical facts I enjoy as well as the mysterious elements drawing the plots together. While there was a little predictability it didn't take away from my enjoyment. Definitely a book and author I recommend.